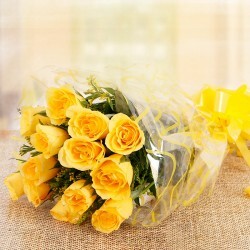 Birthday Flowers Online - Birthdays should be celebrated with the best gifts available. If the birthday of your loved one is just around the corner then we have the most amazing ideas that will solve your Birthday Gift confusion. 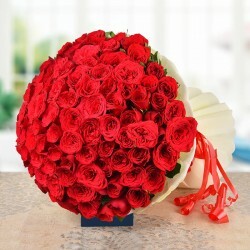 With our beautiful and Fragrant Flowers you can make the birthday of a loved one the most special day. 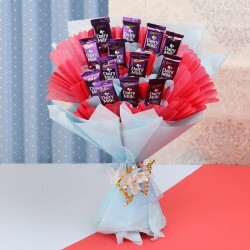 Birthday flowers - Delicate, colorful and fragrant; flowers are an all-round package, and this is probably why they make for a perfect gifting item for any occasion. They have a very positive aura about them and instantly light up a person's mood and brighten up the environment. One of the most elegant entities of Nature, they carry a distinct charm that has a captivating effect on all. The culture of gifting flowers to people has been around for centuries and in various ethnicity of the world. Flowers are considered to bear expressions of human emotions. 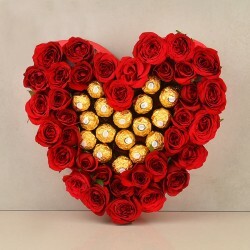 These beautiful and eloquent bunches signify several feelings from care, passion, love, good wishes, friendship to respect. But which ones to buy for a birthday? Among the many special events that flowers are gifted across the globe on, birthdays deserve a special mention. Birthdays serve as just the time to let people know that you admire them, cherish them and wish them well in all walks of life. It is almost surprising how a birthday bouquet instantly brings a smile, and that makes it all the more worth it! There several varieties of flowers available in the world, and each have a specific meaning attached to them. It is therefore important to know which of these can serve as apt flowers for birthday. Here's a list of the most widely bought birthday flowers. 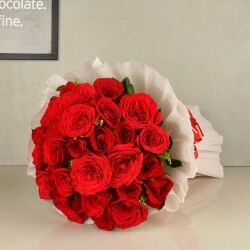 Roses:- Roses as you know are a classic choice for any special occasion. These graceful ones are available in all sorts of colors including red, pink, peach, orange, white, yellow etc. Where the red roses symbolize passion, pink represents grace. 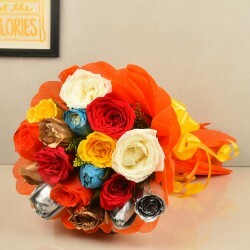 White roses stand for purity, orange excitement and yellow for friendship. Gerberas:- Gerberas are also one of the most popular flowers for gifting and are bought on various occasions from birthdays to anniversaries. Available in really perky colors, these are known as happy flowers spreading cheerfulness all around. They help you express warmth and commitment to the recipient. Carnations:- Carnations as regarded as the national flowers in Spain. Owing to their fluffy texture, nice fragrance and great shelf life these rightly fall in this list. Order a birthday bouquet delivery of carnations and let your dear friend know that you are grateful for his/her affection and miss him/her. Lilies:- Holding religious and cultural significance's in several parts of the world, lilies are one important flower type to consider for birthday bouquets. Lilies are known to signify passion, energy, confidence, well-being, and gratitude. Gladiolus:- Named interestingly after their 'sword' shaped leaves, Glads have a history spanning from Africa to Mediterranean. These pretty blooms signify strength and moral integrity. Glads have also been associated with infatuation. Send these birthday flowers online to your friend who you look up to for inspiration and support. Orchids:- Another popularly marketed bunch, orchids are available in wide color ranges. Orchids are also related to various emotions. Since their plants bloom easily and even under severe conditions, orchids are considered to symbolize love. Where these flowers were used to express affection in the Victorian ear, in Japan they were regarded to be symbol of luxury. Wish your loved ones well on their birthdays with a beautiful bunch of orchids. We love our flowers, and so will you! 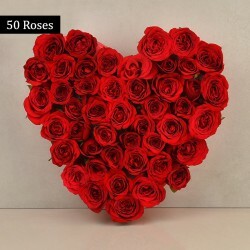 MyFlowerTree is an online flower shop bringing artistic flower bouquets for several occasions. 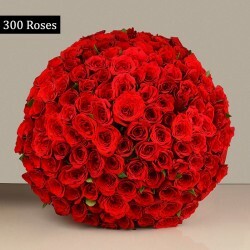 Considering that birthdays are the most special time of the year for an individual and call for celebrations, we offer a fabulous assortment of birthday flowers online. Every birthday bouquet delivery that you order with us consists of freshly plucked, hand-picked and creatively arranged flowers. With a team dedicated to the cause, we work earnestly to make gifting a matter of ease and convenience for you. 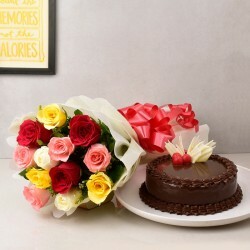 We have online birthday flowers delivery available in 408 cities of India. Our customers love us for our express delivery services. We have flower bouquets, flower in vase arrangements, specially arranged flowers, and flower and gift combos all under one virtual roof; it's just about picking the right one. Products in this category have been rated 4.7 out of 5 based on 116 reviews.